We recently posted about Deltarune being removed from the Switch eShop in North America due to a game rating issue. Looks like that issue was fixed super-quick, as the game has already been added back to the Switch eShop. Make sure you hop on and grab it now before something else causes it to disappear! 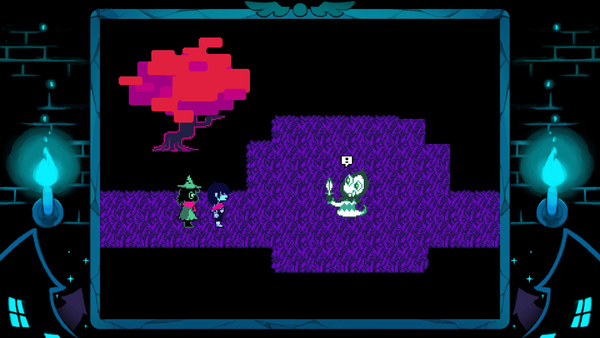 Deltarune: Chapter 1 has been removed from the Switch eShop in North America. Why was the game yanked? We honestly don't know, but it's likely an ESRB ratings issue (UPDATE - ESRB issue is indeed the reason). The game is still up for grabs on both the Japanese and European eShops, so feel free to hop on those and grab the game. Hi, today’s we’re playing Deltarune on Nintendo Switch. Like what we did with Undertale, we’re playing this completely fresh. Chapter 1 is out now so let us know if you’re playing in the comment section. Also, be sure to check out Undertale if you haven’t yet. As always thanks so much for watching and we’ll see you next week! 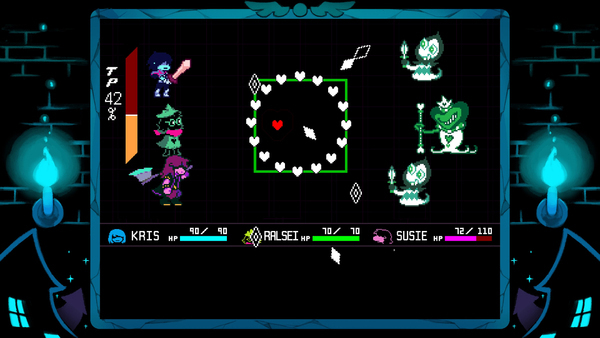 The award-winning indie RPG, UNDERTALE, expands the series with a brand new game...in a different world! Every once in awhile, Nintendo features an interview in their Switch news section concerning an upcoming Switch title. The latest featured interview chats with Toby Fox, creator of both Undertale, and the upcoming Deltarune. Check out the full interview below! 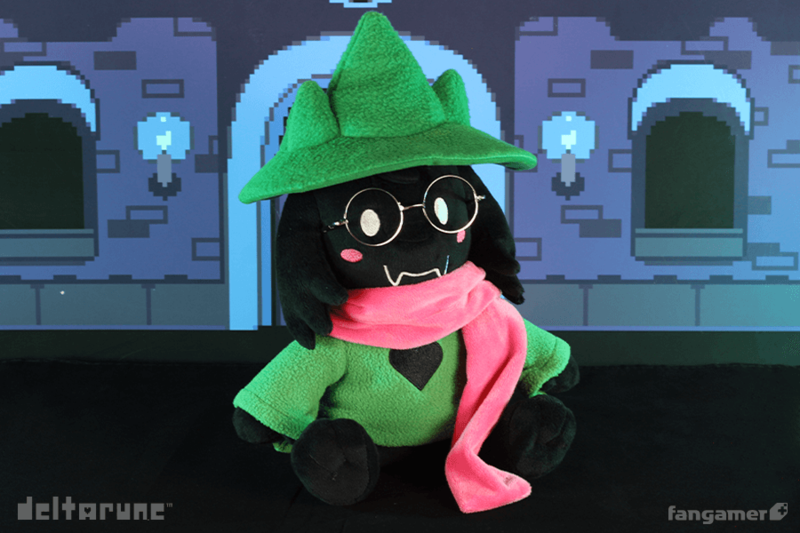 Q: How did you feel about the response to the unveiling of the PC version of Deltarune? Q: How long has the idea for Deltarune been kicking around in your head? Fox: In 2011, when I was away at school, I got very sick. I ended up having a terrible fever and couldn’t get any medicine for it, and while I was sleeping I had a vivid dream about the ending to a game. Since then… I felt like I had to make the game with that ending. I attempted to make that game in 2012 using character designs by an artist I really like called Kanotynes. However, I stopped making it even before I made a single room of the game. That game… I ended up repurposing a few of the songs from it for Undertale. For example, “Heartache” was originally called “Joker Battle” and “Bonetrousle” was originally the main battle theme. Then I decided around when I did the Kickstarter to Undertale (2013) that if I ever completed Undertale, my next game would be a mix of Undertale and that concept. Q: Where did the ideas for the three protagonists in Deltarune come from? Fox: I feel like Kris and Ralsei have fairly obvious origins. As for Susie, I originally designed her right after I had played Phoenix Wright for the first time. At first, she was essentially like Maya Fey, and would serve as your small, friendly, sassy companion. There really wasn’t any tension at all, she was just nice and cute. Q: We’d love to hear about any ideas you have for types of magic you’re looking forward to working in, or about any kinds of magic that you’ve decided to leave on the cutting room floor. Fox: I was going to give a certain character a fire spell, but decided against it for the first chapter. As for what I’m looking forward to… well, it’s hard to describe this without spoiling anything, but a certain character will learn a certain type of spell that they aren’t really good at. Actually, they’re so bad at it there’s essentially no reason to have them use it at first. But the fact that they learned it and keep practicing it is really heartwarming. Q: Any projected release window for Deltarune Chapter 2 and beyond? Also, how far along is development? Fox: I’ve been writing a lot of dialogue and composing a lot of music recently. But programming is still at 0% and I don’t have a team, so actual development is still at 0%. You know how when your internet is super slow, it’ll give you an estimate like “20 years…” for how long it’ll take to download a file? It’s like that. Q: In closing, do you have anything you’d like to say to all the people out there who will be checking out the Nintendo Switch version of Deltarune? Fox: Thank you so much for checking out the game. I really hope you give it a shot. If you’re familiar with Undertale I mean. If you aren’t, then I don’t even really know why you’re reading this right now. Is this what you do for fun!? … Guess I can respect that.